A clinical review published in The Journal of the American Osteopathic Association suggests nearly 1 billion people worldwide have low levels of vitamin D due to sunscreen use that prevents adequate exposure to sunlight. The study also shows that up to 95 percent of adults with dark skin have vitamin D deficiency or insufficiency. Research author Kim Pfotenhauer, DO, from Touro University, explained that people are spending less time outdoors and usually wearing sunscreen, “which essentially nullifies the body’s ability to produce vitamin D.” Protection against skin cancer is important but “moderate levels of unprotected sun exposure can be very helpful in boosting vitamin D,” Dr. Pfotenhauer added. A sunscreen with SPF 15 or higher cuts vitamin D3 production by 99%, according to study authors. 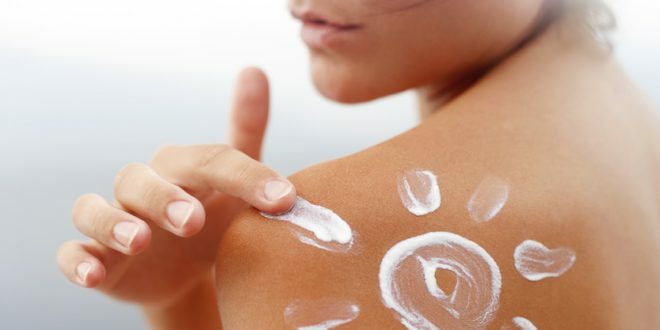 In addition to sunscreen use, factors such as time of day, season, altitude, clothing, and skin pigmentation can influence the amount of UV-B exposure for an individual. Age also plays a role, as individuals over the age of 70 need more sun exposure (approximately 3 times more) to produce the same amount of vitamin D as children. Conditions such as type 2 diabetes, kidney disease, Crohn’s disease, and celiac disease also inhibit the body’s ability to metabolize vitamin D from dietary sources. Individuals who experience symptoms of vitamin D deficiency or insufficiency (eg, muscle weakness, bone fractures) or have chronic diseases known to reduce vitamin D, should have their levels checked and consider treatment options if the levels are found to be low; routine screening should be done only for those at risk for vitamin D deficiency, based on the 2013 US Preventive Services Task Force guidelines and the 2011 Endocrine Society guidelines. To maintain bone health, patients with vitamin D deficiency should take a vitamin D supplement. Compared to all forms of vitamin D, supplementation with vitamin D3 alone was shown to decrease all-cause mortality by 11% in one study. For adults with vitamin D deficiency, replacement vitamin D3 doses should be either 6000 IU daily or 50,000 IU weekly for eight weeks to achieve a serum 25(OH)D level of 30ng/mL, followed by a maintenance dose.